When you are a divorced parent, you need to make sure that you always put your kids first. It doesn’t matter if there are hostile feelings between you and your ex; you should always be thinking of the kids. There will have to be compromises between the two of you to keep them happy. It’s also important not to leave the hard parenting work to the other parent. You can have fun with your kids, but make sure that you are still taking an active role in raising them. Being the “Disneyland Dad” or mom can put undue pressure on your ex. Successful co-parents know how to communicate and communicate well. Keep your ex in the loop at all times. Let them know what you and the kids did and if you noticed any problems, especially when it comes to their emotional well-being. When issues with discipline arise, you need to make sure you and your ex are on the same page before you deal with it. You don’t want your kids to run home to your ex and say, “But Dad said that’s okay!” when they try to correct the children’s behavior. 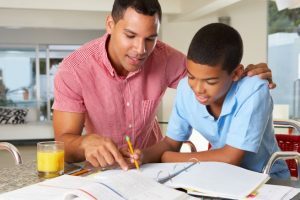 You both need to be up to speed on everything in your kid’s lives so that your children have consistent guidance from one home to the other. Do you need help with your divorce? Contact our family attorney in Tampa today at 813.280.2911. We can help you modify your child support, alimony, and more at our law firm.